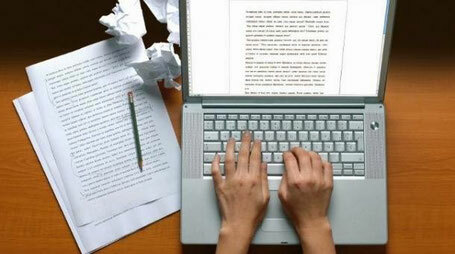 Welcome to the official announcement of the first My Life as 3D Scholarship Essay Contest. The idea to give away a college scholarship to someone who has been affected by their sibling's addiction came to me after I wrote a blog post a little over a year ago. That blog post talked about what I would do with the money if I ever managed to win the lottery. One of the things I mentioned was starting a foundation to assist younger siblings of addicts, because of what amazing people they are. Then in November, I decided that winning the lottery was pretty unlikely. So my wife and I decided to put up some of our own money and create a scholarship that would help a sibling affected by addiction pay for college. The original idea was to award the scholarship to a younger sibling, but we later decided that addiction--the ultimate family disease--doesn't care if a sibling is younger or older, so why should we? This is the first time I've ever put together a college scholarship, so if there are little glitches here or there I hope people can deal with them. I thought we'd just gather up some money, find a deserving person to give it to, and send a check to their school. Then I realized there needed to be some kind of application and--gulp--rules. Oh, one more thing! I almost forgot! We needed judges. We needed actual living, breathing caring humans who knew a thing or two about writing, addiction, giving, etc., to read the submitted essays and figure out who deserves to win. My wife and I made a list of people we wanted to help us with the judging, and it turned out that rounding them up was the easiest part of this whole deal; because everybody we asked said yes. Kristen is an Emmy Award-winning actress who starred in 3rd Rock from the Sun on NBC and currently stars in The Exes on TVLand. She is in recovery, and wrote the brutally honest and funny book Guts: The Endless Follies and Tiny Triumphs of a Giant Disaster about her experiences. She is also a co-founder of SLAM NYC, an organization committed to starting the first sober high school in New York City. And, as if all that wasn't enough, KJo also writes an awesome blog called "One Big Mouth." Jeanne and her husband Don lost their son Tyler to addiction on December 23, 2012. Since then, they have worked wonders to help break the stigma associated with addiction and evoke legislative changes through their organization atTAcK addiction. Hannah is an incredible young person in recovery who is part of the University of Michigan's Collegiate Recovery Program. She shared her story with Heroes in Recovery back in December. You can read it here: "Nine Lives"
Munchie is a fabulous writer who lost her younger sister to an addiction-related suicide just over a year ago. She has shared her story on the Heroes in Recovery site, too. You can read it here: "My Sister Sarah." Munchie also writes a great blog for a treatment center, the latest installment of which can be found here: "She Survived." If you know a college student who has been affected by their sibling's addiction, and they are attending college in the fall, please share this blog with them. Maybe they'll be interested in taking a shot at this scholarship contest. All the information they need to apply/enter--requirements, rules, deadlines, etc.--should be contained in the documents below. NOTE: These links are to Microsoft Word documents saved to Google Docs. I can't wait to give away some money in August.